Jesse McCartney is finally coming to Singapore! For one-night-only, he will be stopping in Singapore as part of his The Resolution Tour 2019. He first charmed listeners with his crisp, boyish vocals on his smash hit 'Beautiful Soul', after the release of the debut EP JMac in 2003. Since then, he has opened for Backstreet Boys and New Kids On The Block, gone on numerous headlining tours and released four studio albums, including 2014's In Technicolour. His latest single is 2018's 'Wasted'. He's also gone on to win a joint Grammy with Ryan Tedder for Leona Lewis' 'Bleeding In Love', which he co-wrote. 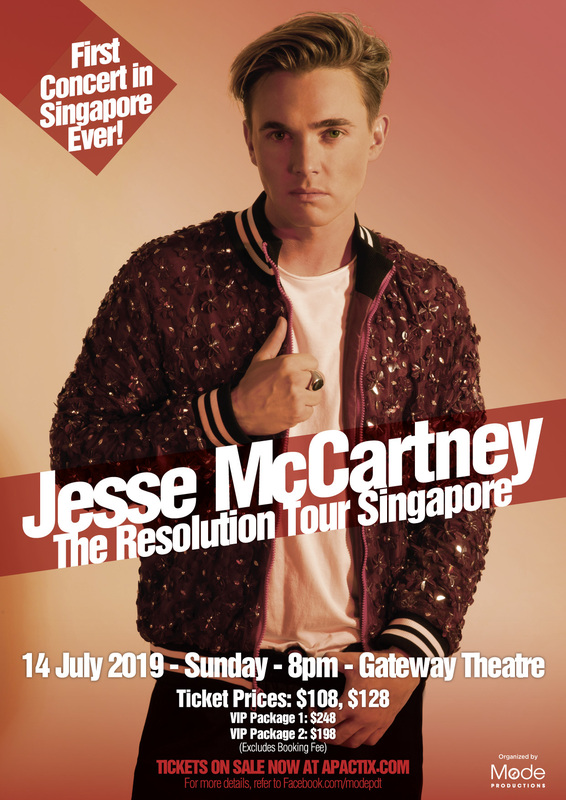 Jesse McCartney will perform in Singapore on Sunday, 14 July, at The Gateway Theatre. Tickets, standard at $108 and $128, VIP at $198 and $248, will be available from Friday, 12 April, onwards at all apactix channels.